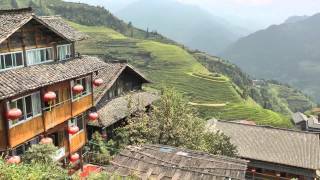 Including the LongJi rice terraces. 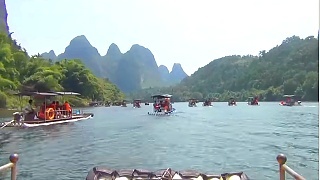 In GuangXi province. 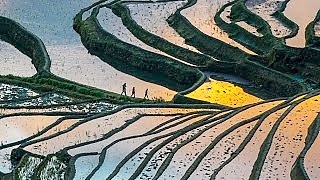 Also known as the LongSheng Rice Terraces. 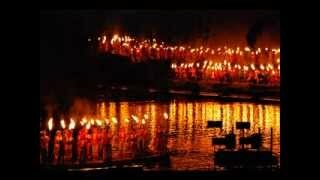 A beautiful film ... 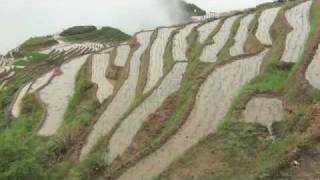 The LongSheng (Dragon's Backbone) rice terraces 龙胜梯田 cover an area of around 65 square kilometers (about 16,000 acres) in GuangXi province. Construction of the terraces began during the Yuan dynasty (1271-1368), most extensively around 500 years ago during the Ming dynasty, and continues today. 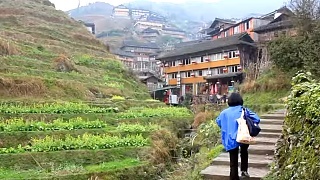 The rice terraces stand as testament to the wisdom and strength of the Zhuang and Yao ethnic minorities who form the majority of the locals here. 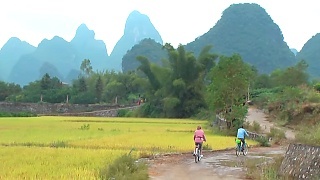 LongJi (the Dragon's Backbone) Mountain is located in LongSheng County, about 100 km (2 hours drive) from GuiLin. 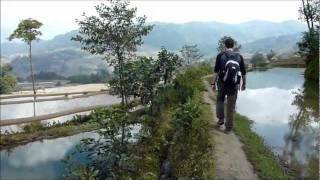 The most famous of the rice terrace areas here are the Ping'An and JinKeng rice terraces. 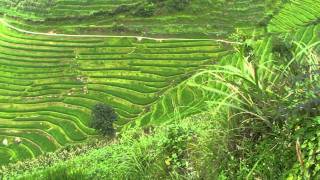 The terraced fields are constructed from riversides up to the mountain tops, at elevations of 300 meters (1,000 feet) to 1,100 meters (3,600 feet). 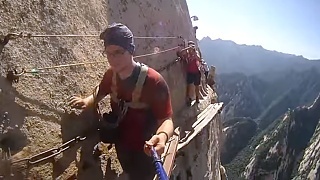 A typical incline is 30 to 35 degrees. 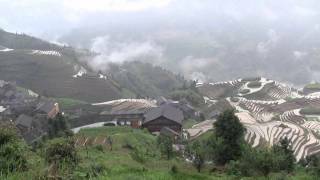 This area is also noted for its LongJi tea and wine. Best time to visit : May to mid-October (ideally, June to September). 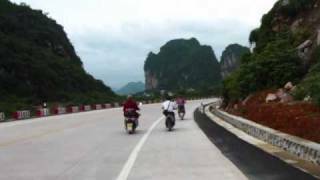 This beautiful area is a UNESCO World Heritage Site. 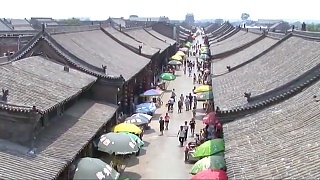 It is home to the HaNi and Yi minorities. 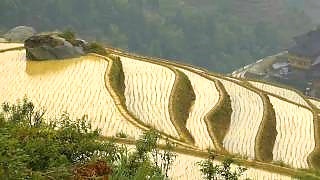 The ancient practice of terraced farming maintains irrigation and preserves the top soil from being washed down the hillsides. Many great photos. 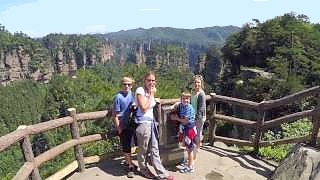 Places include Hong Kong, GuangZhou, Guilin, the LongJi Rice Terraces, YangZhuo and Beijing.